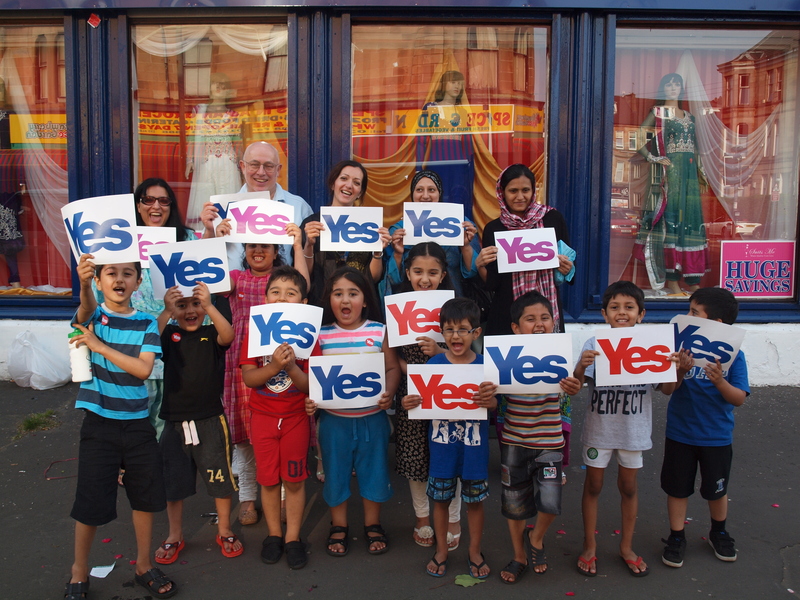 It says much for Tasmina Ahmed-Sheikh’s contribution to Scottish cultural life that when she received the OBE for services to business and Scotland’s Asian community at New Year, the media response was universally positive. After all, the opportunity for mischief-making was obvious. Our press love nothing more than to point out the perceived hypocrisies of public figures. Surely an SNP candidate and YES campaign figurehead taking a royally conferred honour was too good to resist? Only The Times sought to make any kind of capital from Ms Ahmed-Sheikh’s OBE award with a tame question. It was easily brushed off by the Glasgow lawyer, a partner at Hamilton Burns who specialises in commercial conveyancing and private client work, often with a family law or immigration element. “For me independence is a practical, democratic proposition. It isn’t about cultural imperialism so it really is an honour for me to be recognised in this way,” she says. 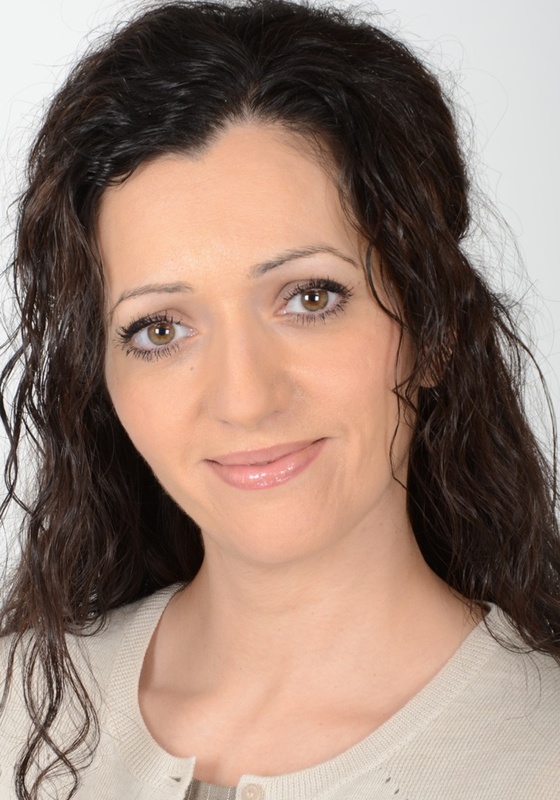 At the age of 43, Tasmina Ahmed-Sheikh has raised a family of four while packing in a senior legal career and seemingly endless political and public life obligations. She’s even been a leading lady in a Bollywood soap. The TV show Des Pardes was a massive mid 1990s hit in Pakistan. During a two year stopover in Pakistan, fluency in Urdu and Punjabi was added to a list of accomplishments that includes a Masters degree in International Law and Economics from the University of Edinburgh which she completed after returning to education as a parent. She had her first child just days after her LLB graduation ceremony and her last, 12 years later, just hours after a partners’ lunch at Hamilton Burns had left her feeling ‘a bit faint’. The current UK Asian Woman of Achievement is a former Scottish Asian Businesswoman of the Year. 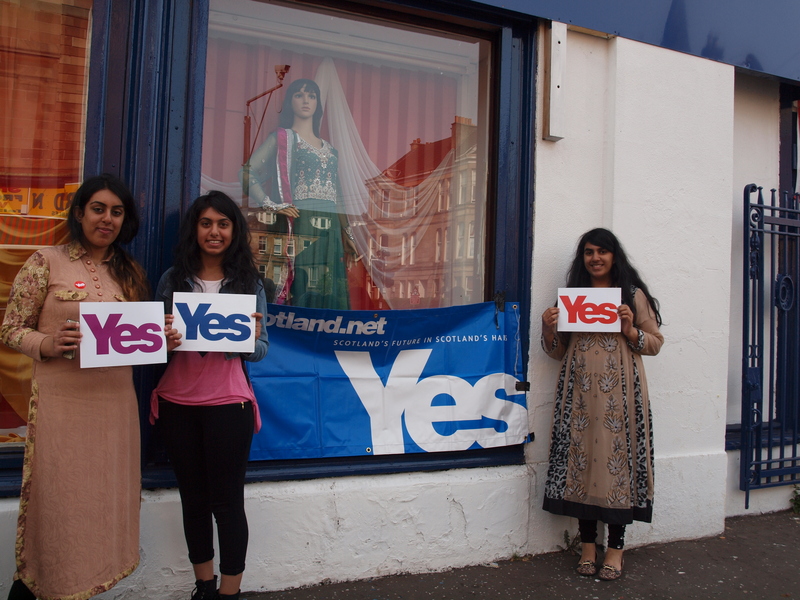 She created The Scottish Asian Women’s Association in 2012 to promote the contribution of Asian women in Scotland. These roles form part of a portfolio that includes positions as The SNP’s National Women’s Officer, and an advisory board member position within the YES independence campaign. Work with Mosaic (an ex-offenders mentoring charity), a Vice Chair role with Women First and a Trustee position with Scottish Women In Sport fill up the additional space within a packed schedule. She could also become Scotland’s first Asian MEP after being chosen as one of the SNP’s six contenders for the 2014 Elections. Tasmina was born in London to an Indian father who lived in Pakistan before entering public life as an Edinburgh Tory councillor. Her mother is a Welsh-Czech former Royal Shakespeare Company actress. Continuing the family’s interest in showbusiness, politics, law, and lifelong learning Tasmina’s mother completed her LLB as a pensioner. Her sister practices as a barrister in London. But surely a belief in multiculturalism runs contrary to the separatism of Scottish independence? This is a charge the lawyer flatly refutes. “Independence is a practical solution. Westminster is not fit for purpose as a democratic chamber that represents the wishes of Scotland’s electorate. We are governed by a party who have just one Scottish MP. It is the lawyer’s enthusiasm for Scottish Women In Sport – a charity that aims to support and encourage female involvement in an area of cultural life where women remain seriously under-represented and under-recognised – that provides the biggest clue to the lawyer’s primary motivations. They are: participation and representation. Similarly, it is probably fair to say that lawyers of a certain vintage, class and outlook are also already over-represented in Scotland’s public and political life? Tasmina partner believes that while that assertion is a fair one historically, the image of the law as the preserve of privately educated grey men in suits is changing. “The fact is there are so many ways into the law now – notwithstanding the economic pressure on traineeships. 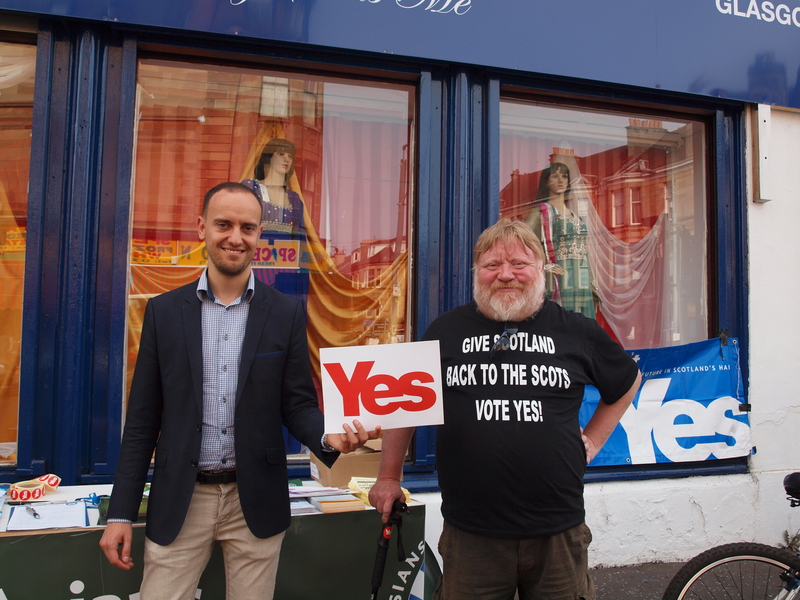 You may recall that recently when I was giving you my tuppence worth on Tom Carney’s visit to Edinburgh I had suggested he was Westminster’s feeble attempt to put a spanner in the works and that I warned to expect more spanners in various shapes and forms. Well I believe Mr Dudley came in one of those guises that Cameron has adorned. From the Unionist’s point of view you can’t find a bigger gun than the Group Chief Executive of BP to throw into the Referendum Debate. However, what Dudley doesn’t realise is that in actual fact he’s been thrown to the lions, in an amphitheatre constructed by Cameron, but in which the Master of Ceremonies is “cool hand Alex”. A powerful and influential man like Dudley and a multinational giant like BP is a perfect combination or from the Better Together’s point of view a lethal cocktail to frighten the Scots that “if you dare vote YES you will lose all the benefits of capital enterprises like my multi- billion pound company offers your country and economy”. In addition they must have thought Dudley will look good because as a foreigner his comments will be credible and genuine since he is non partisan. This, they thought,would send us panicking into a corner and abandon our silly notion of seeking independence because thousands of our country men and women will be made redundant on the 19th of September 2014. We will lose £22 billion which our economy benefits annually from oil and gas output from the North Sea as Mr Dudley wants us to believe that every other oil and gas company will be making a sharp exit because of independence. Dudley cites his fears and concerns over uncertainties regarding whether Scotland will continue to use the sterling. For a CEO of a multi national company that deals in numerous types of currencies, from the Yen to the Dollor to the Rupee to Dinars and Dirhams, it is difficult to understand why then a company globally experienced should be so worried about a small country like Scotland becoming independent and what currency it may use. Surely our fair land cannot be worst than Iraq, Mexico or Libya. None of these countries use the sterling. He also cited uncertainty over our potential links with Europe. What exactly these concerns are he never quite explained but if our potential links give rise to his concerns is he not concerned about the present uncertainty between Westminster and Europe, or does that not affect his company? This is a view,however ill advised, belonging to the person of Mr Dudley and not reflective of CEO’s of many other companies and corporations drilling away in our waters. 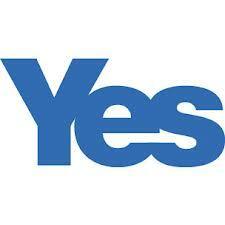 I am certain the other CEO’s have deliberated over the potential Sterling union between Scotland and the UK. Mr Dudley’s statement that ” all businesses have a concern” is baseless and totally unfounded. After having listened to Tom Carney describe this union possible and workable they have realised that their organisations will not suffer in any shape or form under an Independent Scotland. If they had any uncertainties I am sure that with the news that Scotland will retain the Sterling under the auspices of a union such uncertainties have been put to bed. 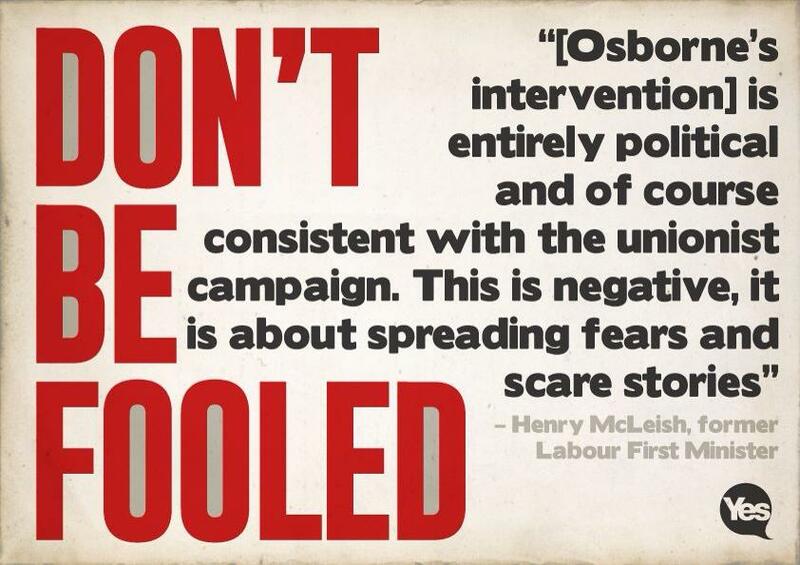 As the future of North Sea oil is at the centre of the independence debate and the revenues from gas and oil form a valuable lever in our finances and economy there will be further unwarranted propaganda from our opposition on this very subject with a view to discredit our campaign. From the £22 billion or so generated annually from this industry we can be sure that BP with its biggest share of the market will be the one making the most money from our shores. 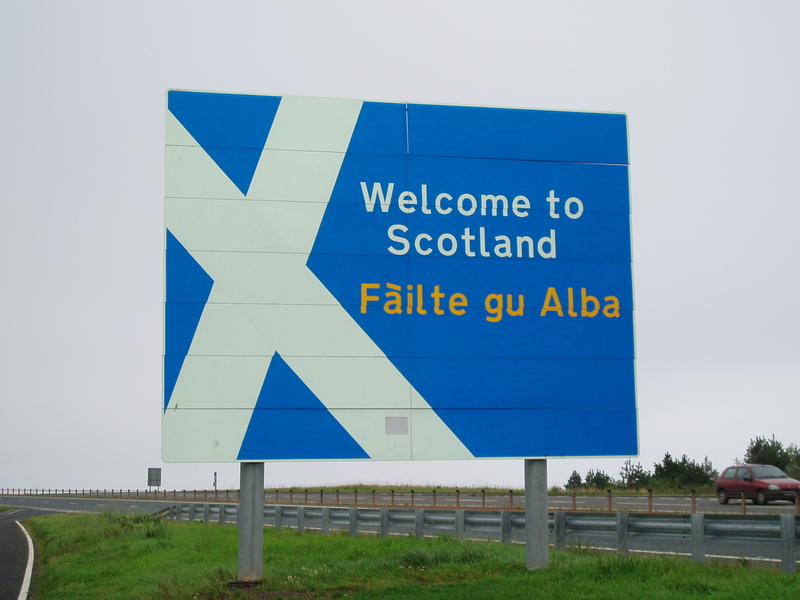 Total oil and gas production equates to 17 percent of Scotland’s national income. Mr Dudley contradicted his own concerns especially over uncertainty about the sterling. If he was so worried and scared about Scotland’s Independence he would have halted new investment into North Sea until the outcome at least became known to him. However,on the contrary his company will be injecting a further £6 billion over the space of the next three years. That does not reflect any amount of uncertainty to me. Since 1965 BP has poured a staggering £35 billion of investment capital into the North Sea. a blatant abuse of human rights. Their motive of greed supersedes above all. Therefore I can bet my bottom dollar, or Durham, dinar, rupee for that matter, that whatever the currency in a new and independent Scotland not one company from this industry will leave or could afford to leave! As the First Minister said yesterday the Scottish Government will always be supportive and offer its full cooperation. Maybe Mr Dudley should get his PA to fix an appointment with the FM, I am sure Alex will be happy to dispel any ” uncertainties” he has. 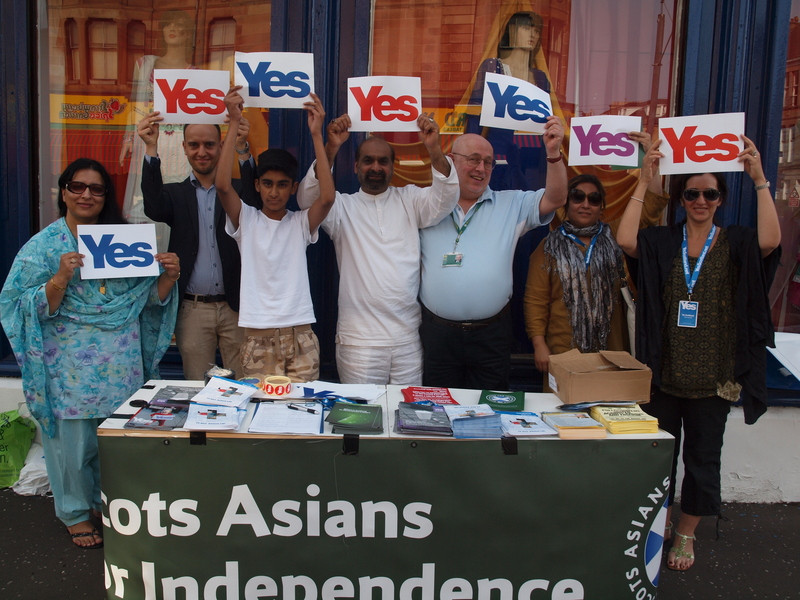 Carrying on with the theme of YES, NO, UNSURE, Scots Asians for Independence for Yes are pleased to announce a debate with the Labour Party’s Diversity group on what Independence means to the people of Scotland. 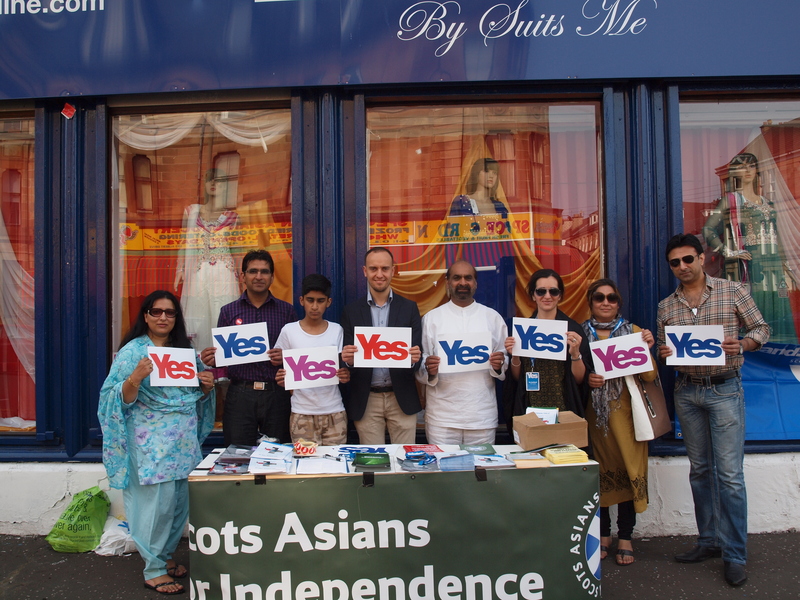 Representing Scots Asians for Yes are Tasmina Sheikh, lawyer, MEP Candidate for Europe 2014 and Yes Scotland Advisory Board member, with Aamer Anwar, human rights lawyer, activist and media spokesperson for Scots Asians for Yes and Yes Scotland. Representing the Labour Party’s Diversity group as part of the larger Better Together campaign are Shiraz Ahmed, businessman and media spokesperson, with Talat Yaqoob, a feminist writer. entry fee: £1 which is to be donated to the U Care Foundation.